You know how I am a huge AIR MILES fan! Like really huge! I have been an AIR MILES Collector for years. Each time I shop at an AIR MILES Sponsor’s store, I use my card and collect those precious reward miles. When the AIR MILES system was offering only Dream Reward Miles, I used them to buy gifts during the holidays. When they offered the new Cash Reward option, I used it to reduce my bills at IGA or other participating Sponsors. Now AIR MILES is offering a new feature on top of the others in place! I have to tell you this: You will fall in love with this system as it makes gifting and using your reward miles a lot easier and most of all: you can do it online, on your phone! On the go. Doesn’t AIR MILES just keep getting better and better? Now, with their new eVoucher feature as part of AIR MILES Cash, you can go online and print out eVouchers for cash off at participating partners. Possibly even more exciting, you can even gift those eVouchers to your friends and family! 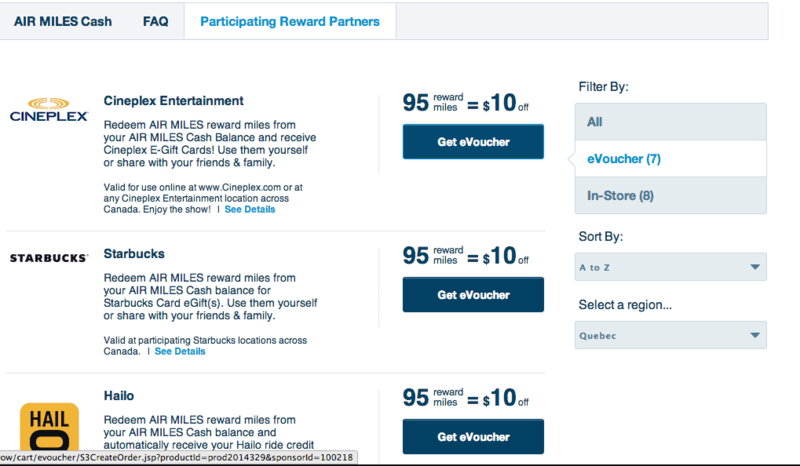 Take a look at this exciting new way to redeem your AIR MILES. What is the AIR MILES eVoucher feature? Giveaway Alert: Enter for a chance to win 760 AIR MILES reward miles ($80 Value when you put those reward miles in your AIR MILES Cash balance). If you’re an AIR MILES Collector, you already know that you can use your card to rack up reward miles, then use them for cash off at great locations using your card. Now, you can use your reward miles even when you don’t have you card with you through eVouchers! It’s really easy to use: just log on to the AIR MILES website and put in your card number and password. Once you’re in, as long as you have at least 95 reward miles in your AIR MILES Cash balance, you can start redeeming them for eVouchers. Remember, 95 miles equals $10 cash off at many of your favorite retailers throughout Canada. Keep in mind that not all partners are enrolled in the eVoucher system at this time. While AIR MILES is working to add more partners, for now you can still save with some of your favourite brands, like iTunes, IRIS and Kernels. Check back to the partner list often for updates. Since last week, they updated a new partner! My favourite feature of the eVoucher system is that I can give them as gifts. Last week, I was on a business trip for 3 days! It’s hard to leave the family for such a long time! I had to make it up to them a bit. Nothing beats a gift to your loved ones! So I used my reward miles at the following stores to please each and every member of the family. I could do this on my phone while I was at the hairdresser! Talk about multitasking and convenience! I used 285 reward miles to get a $30 Cineplex e-voucher! My husband and kids could enjoy a nice movie during my absence! I logged into my account, selected Cineplex and checked the option: email to a friend. I emailed it to my husband! Once you confirm, you get an email from AIR MILES confirming the transaction. Then a few minutes later the recipient gets a confirmation email of the eVoucher. I also used 95 reward miles to get a Kernels eVoucher! While my family could go the Cinema and enjoy a great time, they could also have movie night at home and enjoy some Kernels popcorn. I emailed the eVoucher to my husband but he accidently deleted the confirmation email! So I just sent it again, which is another great feature. Then I used 190 reward miles towards a $20 iTunes eVoucher for my son! He commutes for one hour every day and loves listening to music during that time. He could buy some songs with the iTunes eVoucher. Again, I got a confirmation email once the transaction was complete and my son got a confirmation email with the code to load his iTunes account. Finally, I treated myself with a Starbucks eVoucher. During my trips, I drink lots of coffee and always enjoy Starbucks. I used 95 reward points to get a $10 Starbucks eVoucher! I wanted to use my reward miles towards Hailo rides but they are not available in my area. But I am planning on using it on my next trip to Toronto. I am also planning on getting an eVoucher from FanExchange for my son’s upcoming birthday. The AIR MILES eVoucher feature opens up a whole new realm of possibilities when it comes to offering gifts for family and friends. I love having so many options when it comes to redeeming my AIR MILES reward miles! Besides you can log into your account and get a glimpse of all the transactions you did! Not a Collector yet? You’re missing out on so many opportunities to save! Visit AIR MILES to learn how you can enroll. Canada only. Ends June 16th 2014. Fill in the form below to be entered. This post is brought to you by AIR MILES. All opinions are mine! You know that I only share things I love! I’d love to use it towards a flight to see my family out in SK but Sobeys vouchers would come in handy for my gluten-free diet as the food costs an arm and a leg. Starbucks & iTunes.. drink great coffee while listening to great music! I’d get Cineplex and kernels and use them at the movie. Great review and giveaway. Thanks for sharing. Starbucks – love my lattes! I’d love to get some starbucks evouchers! Itunes for the kids for sure. I would use the vouchers for Starbucks and Kernels! I would like the Cineplex one. I’d get the cineplex voucher. Easy – SHELL Gas Certificate. I would like to redeem for Cineplex. I’d love to get a Starbucks evoucher. I love going to the movies, so I would get the e-voucher for Cineplex. Probably use this for Rona as we have some renos we need to do and I would love to pick up some supplies! I would love the Starbucks. I need a movie date with hubs, so I’d pick Cineplex. 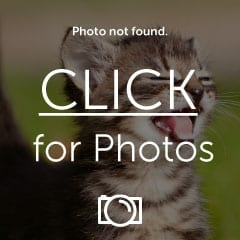 Safeway – I saw it as an option on their website, and it would really come in handy! I would choose a Cineplex voucher. i would get the Cineplex Entertainment voucher! I would pick the Cineplex e-voucher. I would split it between Starbucks and iTunes. Undecided as I try to collect enough for anything! I’d redeem it for a hotel!! I would get the iTunes eVoucher. i would get the Cineplex one. I’d like the Starbucks eVoucher! I would pick the starbucks evoucher. Cineplex – I love free movies! I’d like to get a Kernels voucher. I”d have to get Cineplex! I would like the Starbucks eVoucher. My Toddler doesn’t have very Many Words yet—should I be worried?